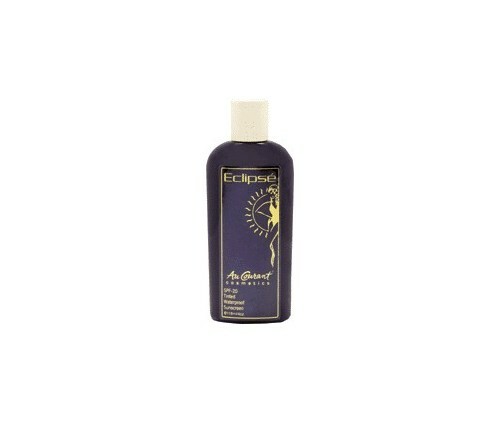 Another first for Au Courant: Eclipse was previously released as a tinted spray-on sunscreen. For the tan you want with the protection you need. Most waterproofing agents are very drying to the skin. This unique formulation can be used daily! Deepen an existing tan or just add a superb bronze glow to your face and body. No need to arrive at your recreational function looking pale. The built in bronzer provides a beautiful natural color while providing up to 20 times your natural protection against sunburn. It helps prevent aging, skin cancer and skin discoloration caused by over exposure to the sun. Eclipse is Paba Free and offers broad spectrum protection from the potential damage to the skin by harmful UVA and UVB rays. • Apply two tablespoons of sunscreen on your body a half-hour before going outside, so it has time to absorb into your skin. • Cover up with clothing, a broad-brimmed hat, and UV-blocking sunglasses. • Keep this and all drugs out of reach of children. • Avoid contact with eyes, rinse eyes thoroughly with water. • Use common sense with white bathing suits. • Discontinue use if signs of irritation or rash appear. D & C Yellow #6, D & C Red #40.